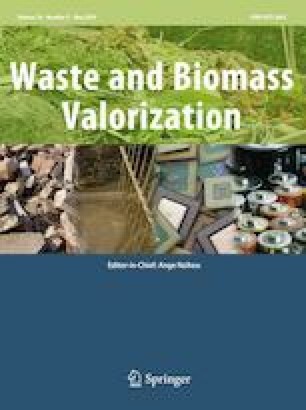 The recent bio-based economy directions towards the renewable energy development result in an overwhelming compulsion to identify new environmental friendly processes for biomass conversion. Combustion, gasification, and pyrolysis have been identified as promising thermo-chemical conversion techniques for energy and biofuels production. However, many drawbacks need to be solved for developing their applications at large scale. Among the various problematics, the influence of inorganics on char gasification reactivity remains an open issue. Hence, the effect of alkaline and alkali earth metal (potassium and calcium) under different CO2 concentrations (20–100%) have been here investigated by thermal gravimetric analysis. Surprisingly, the presence of calcium did not improve the reactivity as expected, but a decrease in the gasification kinetics was observed, when compared to the gasification of the char obtained from washed biomass containing a lower amount of calcium species. On the other hand, K-species clearly act as activators, in particular at high char conversion ratios. 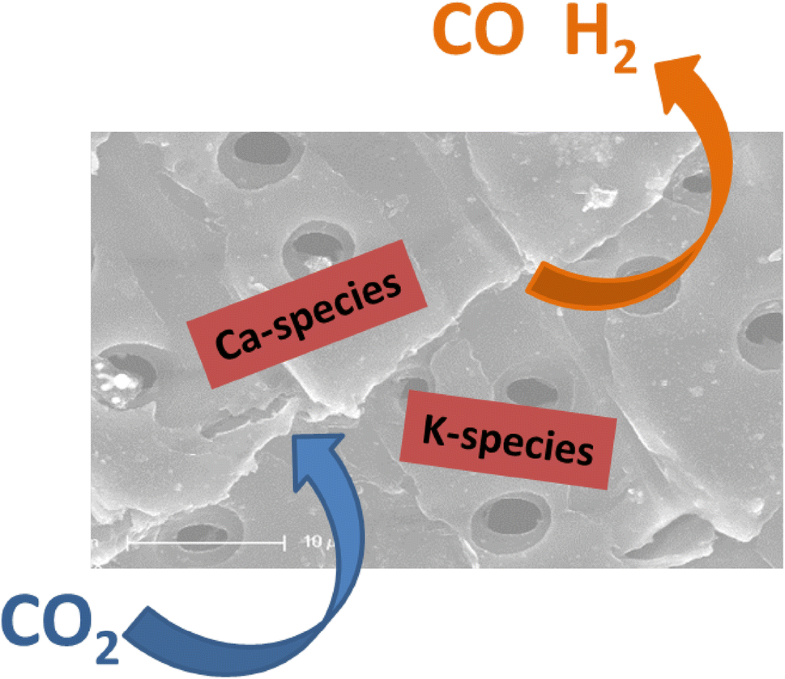 The char gasification rate was higher at high CO2 concentration for all samples, and the effect of CO2 concentration was maximized for the K-enriched char. The authors would like to thank the Carnot Institute MICA for supporting a part of this study in the frame of the Carbovit project. Khouloud Haddad thanks the World Bank for its financial support through the Robert S. McNamara Fellowships Program.The physico-chemical characterizations were performed on the technical platforms of IS2M.